or education institution to the cloud - from design to implementation. Well-designed procurement strategies and cloud-centric contract vehicles make a difference. Getting procurement right leads to a portfolio of cloud technology and services that truly achieves the benefits of cloud computing. Performance-Based Requirements. Choose a contract vehicle or approach that allows for a focus on performance-based needs and solutions. Pricing. Embrace on-demand, utility-style cloud pricing that is driven by commercial competition. Security and Assurance/Audit. Understand that security and compliance responsibilities are shared between AWS and our customers. Terms and Conditions. Understand that cloud services are purchased as a commercial item, and consider what terms and conditions are appropriate (and not appropriate) in this context. Use terms designed for a commercially available service and purchased as a commercial item service offered without labor hours. The easiest way to do this is to click through the AWS agreement with standard terms and conditions. AWS partners typically have existing contract vehicles or customer relationships. 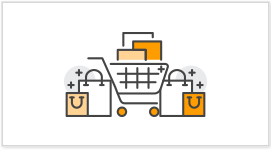 The AWS Global Channel Reseller Program enables qualified partners to resell AWS cloud services to both commercial and public sector end customers. Even if you purchase AWS directly, you can still use a partner to help with implementation. AWS Partner Network (APN) Consulting Partners built their AWS practice to include professional services and management of end customer AWS deployments. View the list of APN Premier Consulting Partners. As the adoption rate of cloud computing grows, many public sector entities have established approved publicly awarded contract vehicles to purchase cloud services. Taking advantage of existing contracts will help accelerate deployment. Public sector institutions issue a solicitation to a systems integrator (SI) or managed service/consulting firm, and have them propose a comprehensive solution that makes use of public cloud services. Depending on internal skills, many customers have benefited from working with consulting and technology partners to assist with deployment, adoption, and in transitioning workloads to the cloud. AWS has the largest ecosystem in the cloud with tens of thousands of the world’s largest technology and consulting companies. Access to a large community of business and technical cloud experts, training, and best practices makes it easy for public sector institutions to adopt and shift existing business processes to the cloud. Learn more: AWS Partner Network (APN). It is very likely that the System Integrators (SIs) and Independent Software Vendors (ISVs) that agencies already work with are within the AWS Partner Network (APN). In addition, the AWS Government Partner Program provides high-value, government-focused marketing, technical, and business enablement tools to support partners who serve the unique needs of government customers. As public sector institutions shift toward this new way of obtaining computing infrastructure, it is important to design cloud procurement strategies and solicitations to harness the full power of this model. In many cases, working with existing partners can provide the fastest way to get started. Updated procurement strategies can promote faster, more flexible acquisition processes that can result in the most effective use of the cloud. Public sector institutions can accelerate procurement by purchasing through existing partners. APN Technology Partners provide software solutions that are either hosted on or integrated with the AWS cloud. APN Technology Partners include Independent Software Vendors (ISVs), Software as a Service (SaaS) providers, Platform as a Service (PaaS) providers, developer tool providers, and management and security vendors. APN Technology Partners gain access to a variety of tools, training, and support that enables them to more efficiently build their solutions on AWS. The APN Consulting Partner program is a global network comprising thousands of professional services firms that have invested in their AWS practice, have experience in deploying customer solutions on AWS, have a bench of trained and certified technical consultants, have expertise in project management, and have a healthy revenue-generating consulting business on AWS. AWS Partner Network (APN) Consulting Partners built their AWS practice to include professional services and management of end customer AWS deployments.